"MOT Chris Jones was very helpful and efficient in dealing with me." Read our customers' honest and impartial Abarth 124 Spider car reviews and ratings to easily find your next car at Motorparks. 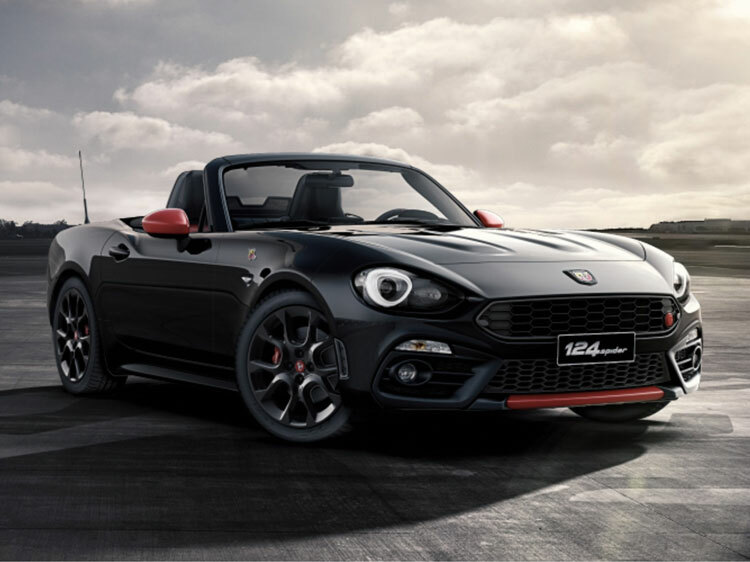 Abarth 124 Spider F1 auto with manual and paddle change. The Abarth has got to be one of the best, most desirable of the range. The quickest, simplest soft top ever designed, a cabin that's built around the driver and performance that you hear as well as feel. The automatic adds to the car, particularly if you do any traffic laden commuting. It's gentle and precise handling makes driving even easier than the wonderful slick manual alternative. The car is comfortable at motorway speeds where the fabulous Abarth exhaust rasp isn't too intrusive. A leisurely 2000 rpm will sprint you along at 70mph, cruise control allowing a restful journey and an amazing 46 to 50 mpg is easily attained. A good, comfortable, classy looking, distinct convertible roadster. Value for money is always subjective. But it has to be one of the best buys of this type of car.